Fantastic friendly service and extremely relaxing. Tara was amazing, she was professional and I would recommend her as she made me feel very comfortable and it was just a relax and calm atmosphere. She was was absolutely amazing. Very nice and professional staff! Very Satisfied with the services. Excellent manicure and pedicure by Viktorija. Great value girls always listen too what you want so helpful , Emma always try’s to me in at short notice.Highly recommend. Brilliant personalised massage, feel very relaxed now! Amazing! An hour of tranquility, leaving all your stresses and worries at the door. Left feeling so refreshed with a glowing face. Great massage for my back felt like I’m fresh! It was an amazing exp. my nail beautician was just awesome. She even suggested an awesome colour for my nails! Loved it! I had an amazing massage, it made me feel totally invigorated, refreshed and ready to the world on again. 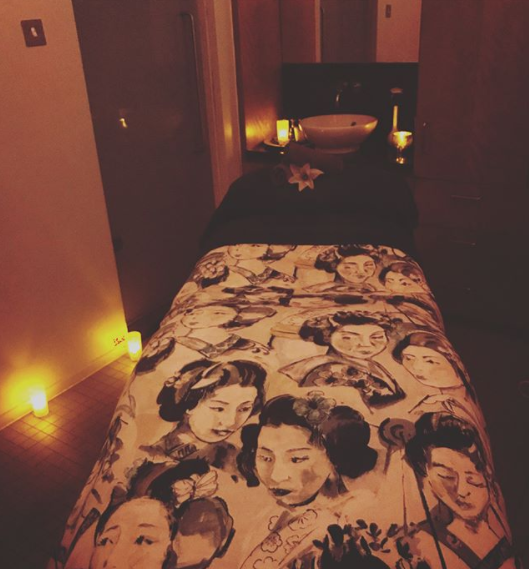 For my treatments I chose a swedish back, neck and shoulder massage followed by a facial that was tailored specifically to my needs and left my skin glowing. Staff are very friendly and helpful. I can’t wait to go back. Emma and her colleagues Lucy,Kesha n chevente are the best. They always greet with calm and pleasant manner with quality in all therapy sessions. It’s been a year I am regular to this Place highly recommended! Perfect place to feel beauty with soul! Keisha, is an amazing asset as a massirist and general practitioner to your brand. Her understanding and attentiveness in listening to the areas that need key focus and attention whilst providing a well rounded massage is spot on. I have and will always use Keisha as my preferred massurist!